We are a professional supplier in China who is specialized in asynchronous ac motor variable speed drive (VSD, also know as VFD) manufacturing for more than 10 years with advanced production lines & quality control system in our factory. 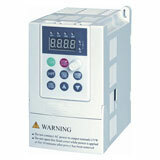 Our variable motor speed drive can continuous running even if the electric power off in a certain time which can be set manually, this new & advanced feature allows the machine work automatically in the unstable electric power area, even more, it can track the asynchronous ac motor's speed in real time and start at the assigned speed when the power on, this makes the ac motor work more smoothly with less maintenance. 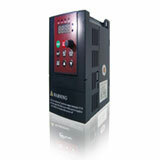 Also, these kinds of variable speed ac motor drives inherited the most popular technical features, like PID control, vector control, RS 485 communication and much more. 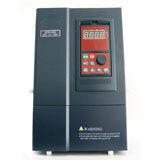 • Online modify and check parameters for the variable speed drives. 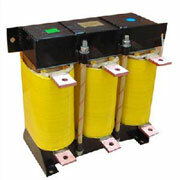 AC induction motors efficiency can exceed 90% when working at the rated loads. However, it's very inefficient when they work below the rated load, or running at part loads. Conventional electric ac motors typically use 60% to 80% of their rated input energy, especially running at less than 50% load. Take an example, in the factory of most companies, the fans & pumps are always running at fixed speed, to get various flow rates it needs to control the automatic valve manually and make it not work at the rated loads. However, if the manufacturer adopts variable speed ac drives for the system, the VSD drive can adjust the fan's & pump's speed by changing the asynchronous ac motor speed automatically to get a desired flow rate. It results in electricity energy savings significantly as the motor's speed down, the damper or valve is not necessary and save labor force. 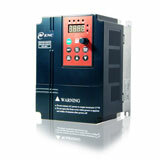 Generally, the variable speed drive is not just limited on pumps & fans, most applications can use a standard or energy efficient ac motor with a motor drive to improve energy saving and performance.